The Class of 2021 is already shaping up to be a stellar class with some nice depth from every region in the country. One big reason why is the continued development of freshman sensation Brandon Huntley of Clarksville Academy in Tennessee. Equipped with a long 6-8 plus frame, the highly regarded freshman is a consensus top 20 caliber prospect for his class at this point and he’s really just getting started. He has a solid basketball I.Q. for his age and nice court awareness on both ends. Skill wise he’s obviously still developing in part but at the same time Huntley has an excellent stroke with range that beyond the arc both consistently and efficiently as well as an ability to hit the mid-range jumper as well on occasion. He handles it well for a young big and his vision combined with his passing are ahead of the curve as well for a freshman with his size and length. Obviously still a work in progress and developing both physically and skill wise across the board, Huntley projects out to a skilled forward who could reach 7 foot plus in terms of both size and wingspan. When it’s all said and done Huntley has the makings of a highly intriguing and in all likelihood highly coveted elite national prospect in the 2021 class if he develops even remotely close to his big picture potential over the next few years. 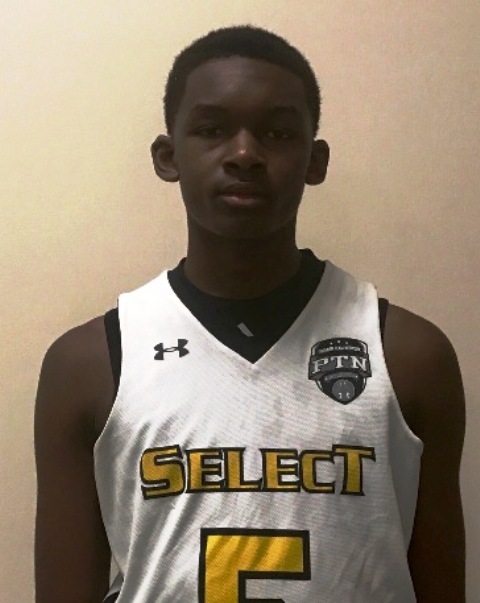 Baylor, Tennessee, Houston, Mississippi, and Penn State have checked in on the young 14 year old freshman so far but you can expect that to pick up substantially as he continues to develop across the board. A must track and watch talent, Huntley is one of the potential blue chip prospects in the 2021 class and you can expect to hear and see a lot about him over the next 36-48 months. Huntley is expected to play with the MBA Hoops Elite program during the grassroots travel season this spring and summer.